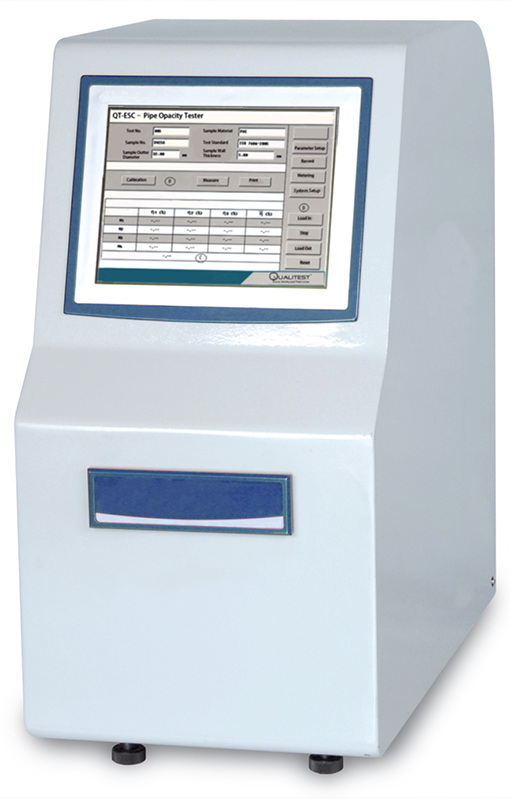 QT-POT Pipe Opacity Tester is used to determine the opacity of pipes and fittings. It is an ideal device for pipe manufacturers, research and inspection institutions. 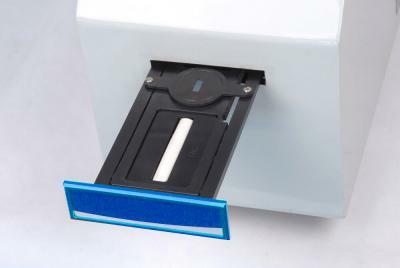 It consists of optical source, Luminous flux collection system and automatic specimen going in/out controlling system, specimen automatic moving device and specimen support. ISO 7686:2005 Plastics pipes and fittings -- Determination of opacity. The standard specifies a method for the determination of the opacity of plastics pipes and fittings. High accurate parallel optical source ensures a stable result. Various sample supports and raster provided for pipes with different diameters. Automatic calibration and three-point measurement. Maximum 1000 groups of test data saved automatically. Reports printed out via a micro-printer. Advanced touch screen operation system with user-friendly interface.